This article by Russell is a long (three part) review essay of Alexius Meinong’s 1899 article “On Objects of Higher Order and Their Relation to Inner Perception” and his 1902 book Über Annahmen.1 Meinong was a student of Franz Brentano. He was both a psychologist and a philosopher, and in fact was the founder of the Graz school of psychology. In this long essay on Meinong’s theory of complexes and assumptions, Russell writes approvingly of Meinong’s ontology of objects, which resembles Russell’s own ontology of his 1903 Principles of Mathematics. For example, Russell states in the 1904 essay, in a footnote at the bottom of page 215, that “In his work Über Annahmen, Meinong, as we shall see, approaches much nearer than in the earlier work to the position which I advocate.” In 1905, Russell published his most famous essay of analytic philosophy, “On Denoting,” and in it, criticizes Meinong’s ontology, and, by implication, his own earlier ontology of 1903. Meinong responded to Russell’s criticisms of “On Denoting,” as well as to Russell’s comments on Meinong in the 1904 articles and to Russell’s 1905 Review of Meinong, in his (Meinong’s) 1907 book On the Place of the Theory of Objects in the System of Sciences. Russell replied in turn with his July 1907 review in Mind of Meinong’s 1907 book (Review of Meinong, Mind, n.s. 16, no. 63, 436-439). Meinong replied further to Russell’s criticisms in the 2nd, 1910 ed. of Über Annahmen. Other reviews by Russell of Meinong’s works, in addition to “On Denoting” and the 1904, 1905, and 1907 works mentioned above, are Russell’s April 1899 review of Meinong’s book Über die Bedeutung des Weberschen Gesetzes (in Mind, n.s. 8, no. 30, 251-6) and his July 1906 review of Meinong’s 1906 book Über die Erfahrungsgrundlagen unseres Wissens (Mind, n.s. 15, no. 59, 412-15). Russell’s 1904, 1905, and 1907 reviews of Meinong have been reprinted in Douglas Lackey’s collection of Russell essays, Essays in Analysis. 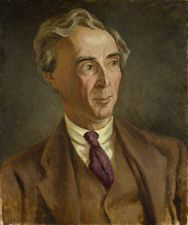 The 1899 review is reprinted in the Collected Papers of Bertrand Russell, vol. 2, and the 1906 review in vol. 5. And all of them are reproduced (from the originals) on this website. 1 “Über Gegenstände höherer Ordnung und deren Verhältniss zur inneren Wahrnehmung,” Zeitschrift für Psychologie und Physiologie der Sinnesorgane, vol. xxi., pp. 182-272 (1899); Über Annahmen, Leipzig, 1902, pp. xv, 298.